Regular readers of ‘The Savage Truth’ will remember that in January 2010, Aquent launched a new strategy for engaging with clients on permanent hiring assignments. Realising that multi-listed, contingent arrangements with clients are to the detriment of all parties concerned, Aquent now only accepts permanent assignments in Design, Digital, and Marketing on a retained or exclusive basis. 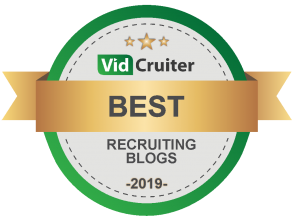 When this was announced to the wider recruiting community it was widely reported and commented on, and since then I have been asked many times to report on how the strategy is working. Aquent is turning away up to five permanent job orders a week as a result of its new push to take only exclusive work, but fill rates have more than doubled, says CEO Greg Savage. Savage told Shortlist in Aquent’s Australian business, where it had taken “a very hard line” on only accepting permanent recruitment work if it was on an exclusive basis for an agreed period, the three-month-old strategy had so far had a positive response from approximately 60% of clients. “With about 60% of the jobs we take, the client has said – ‘Fine, no problem’. “The remainder had already given the job to somebody else, in which case we do not take it. Others haven’t given the job away but aren’t convinced that they want to be monogamous with us. Although Aquent was doing about 40% fewer permanent assignments in Australia, he added, its fill rate for these jobs had gone from around 30% up to between 60% and 70%. Savage said all of the permanent recruitment staff still had enough work to keep them busy and reach their targets, but also had the capacity to increase their workload. “There are plenty who can handle more work, but they’re not idle because they’re doing a much more thorough job on the work that they are doing now. Savage said the strategy remained a work in progress, and the company still had “a lot of clients to convert to our way of thinking”. In China, Savage said, where retained recruitment was already a widely accepted method, some 99% of all permanent job orders were taken on either an exclusive or retained basis. In Europe, the rate was 95%. However only about three quarters of the permanent recruitment work Aquent was doing in the UK was exclusive, he said. The main obstacle, he said, was in fact internal – consultants were struggling to come to grips with the idea of asking clients for exclusive work. Congratulations on making this bold move Greg. We're heading in a similar direction but not quite at a stage where we can draw a line through contingent recruitment YET. Working this way brings increased credibility to the industry and makes recruitment more attractive as a profession. More importantly, working this way enables clients to be serviced in a way that pays due respect to what is a critical function in any business; talent acquisition. Do not allow a 'Prima Donna' to destroy your leadership credibility! Kill off the Bikers. Fire unprofitable clients now!